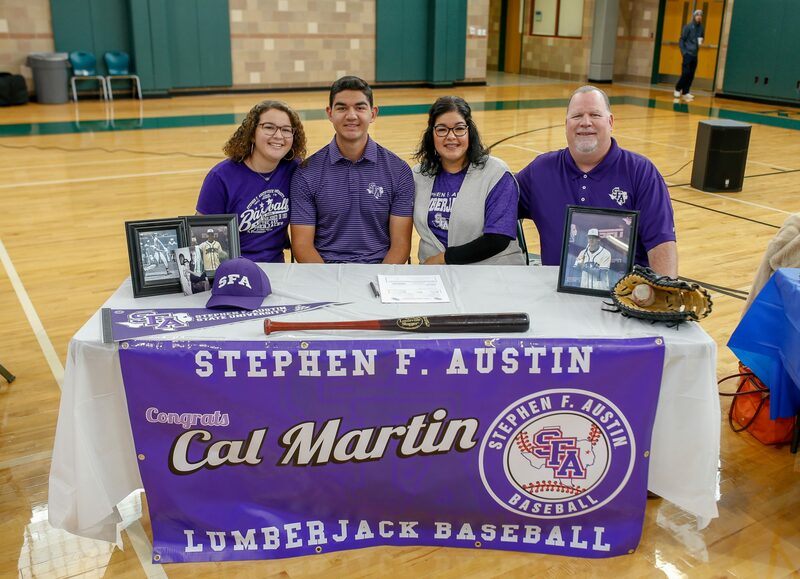 November 14, 2018 Congratulations to Cal Martin for committing to continue baseball and academics at Stephen F. Austin State University in Nacogdoches, Texas. Martin has been an integral team member for two Regional Championship teams and two State Finalist teams at Reagan. As a result of his success, he was named unanimous First Team All District in 2018 and All State Tournament team in 2017. Congratulations and continued success to Cal as he completes his final season at Reagan in the spring and then begins his career as a Lumberjack for Stephen F. Austin State University!